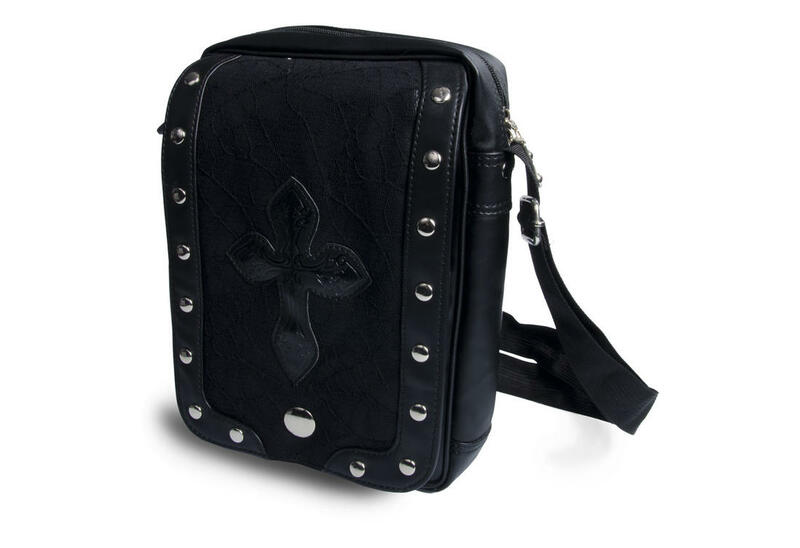 Black PVC cobweb lace flap over bag. 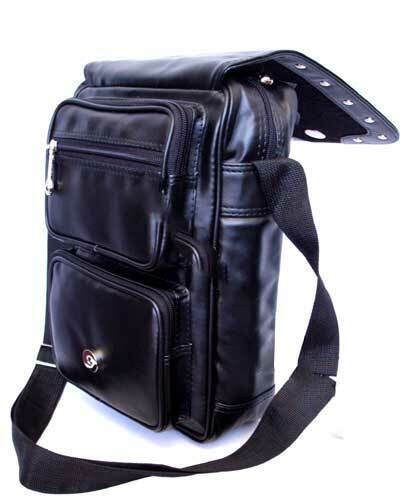 Comes with one main compartment, two zipped compartments and two zipped pockets with fabric lining. 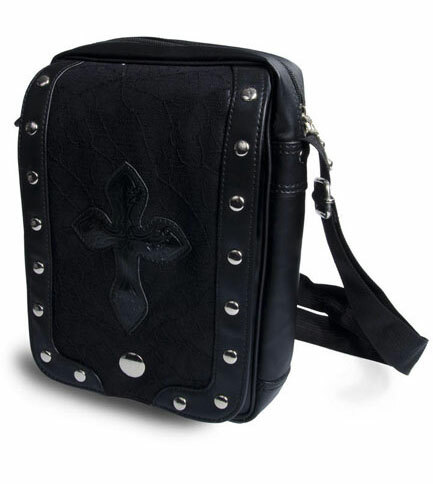 Great for Netbooks and tablets! STRAP LENGTH IS 78 - 134CM.